Founded in the winter of 2017, Integrated Forest Resources of South Carolina is, by all accounts, a brand new company — but they have a strong history in forestry and land management. 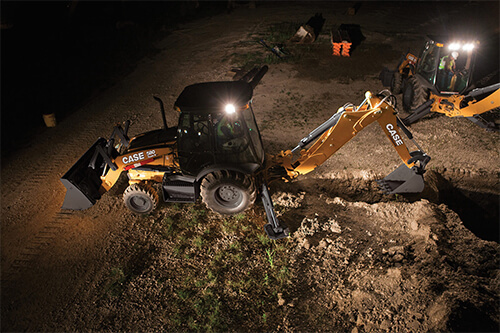 A backhoe loader truly is one of the most versatile pieces of equipment available—whether it’s on the jobsite, in a disaster response situation or a variety of other specialty applications. 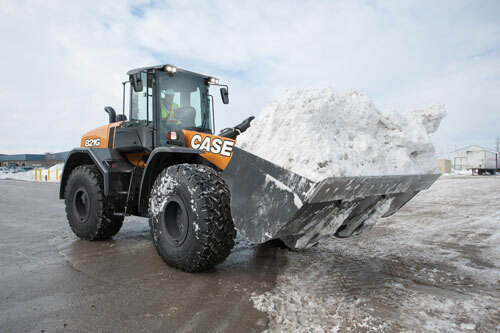 CASE has recently introduced several enhancements to the N Series line of backhoe loaders—improvements to the cab and drivetrain, as well as enhancements to the electrical and hydraulic systems—that make these already versatile machines even more robust and productive. 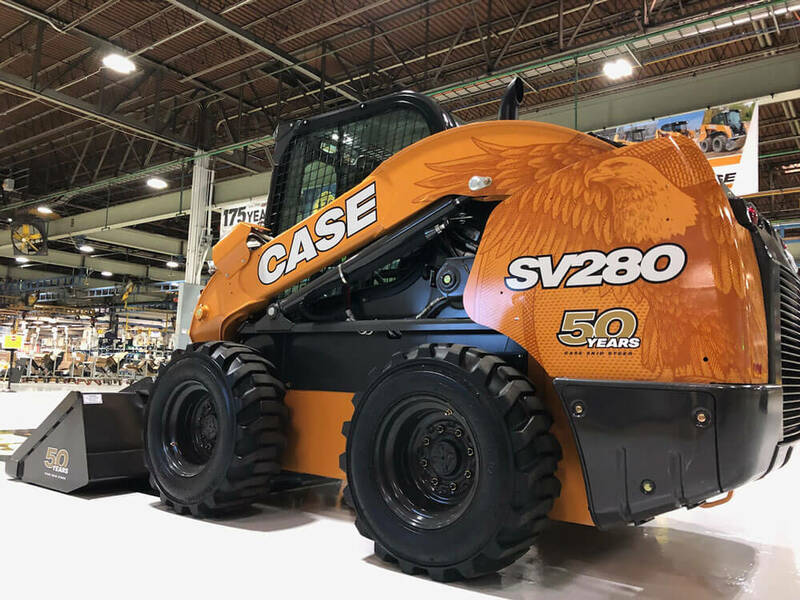 We’ve made several features standard that were only options before, like our fuel economy package, which includes ECO mode switches for both the loader and backhoe functions, allowing for greater fuel savings, as well as optimal power and performance. 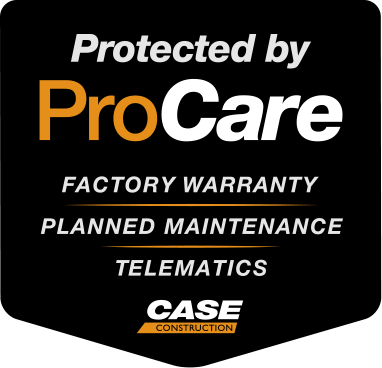 CASE N Series backhoe loaders now feature an all-new Pilot Control hydraulic system for optimal precision and smoothness, offering the operator more control in applications where precision is critical. 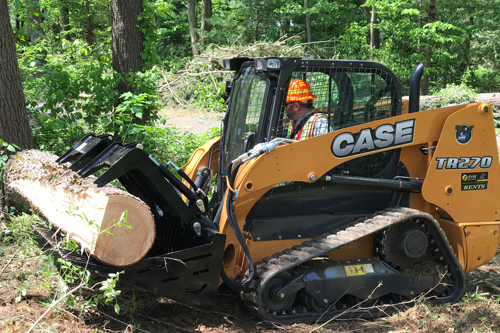 CASE Construction Equipment and heavy equipment dealer F&W Equipment provided veteran-led disaster response organization Team Rubicon with equipment for use as part of Operation Cedar Crest, a cleanup operation spurred by three EF-1 tornadoes and one microburst that touched down on May 15, 2018 in Connecticut. The severe weather left more that 150,000 residents without power and blocked more than 428 roads. Team Rubicon deployed 44 members to the affected site, totaling 1,068 hours of volunteer work and 75,000 feet of debris moved. Team Rubicon brought the community a potential savings of $31,600 in materials and labor. ACI Construction in Logan, Utah, is home to Bronson Twitchell, who has followed his own path into his family’s construction business. Bronson and his two brothers have re-branded their father’s business and have been managing ACI Construction for three years. “I’ve always been fascinated with heavy equipment. 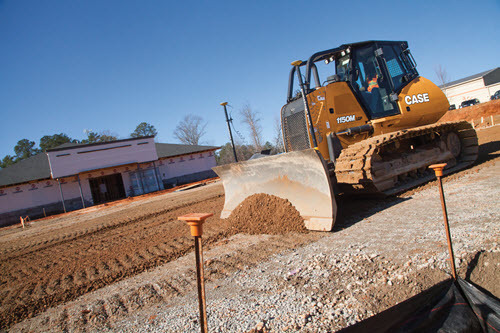 It’s like a big sandbox on the job site,” says Twitchell. ACI Construction (Logan, Utah) is the latest evolution of a long running family business. Dad, Sid Crookston, started pouring concrete at age 15 with his father, who also had deep roots in the construction industry. Sid Crookston’s sons, Chris and Alden Crookston, and Bronson Twitchell, re-branded dad’s business nearly three years ago. Sid Crookston is angling towards retirement and has taken a role as an equipment operator, advisor and all-around sage, while the three boys are responsible for much of the day-to-day business operations. The company is currently working on the third phase of a 23-lot, 15-acre subdivision called Providence Hollow in Logan, Utah. The neighborhood is being constructed into the side of a foothill, which brings its challenges. 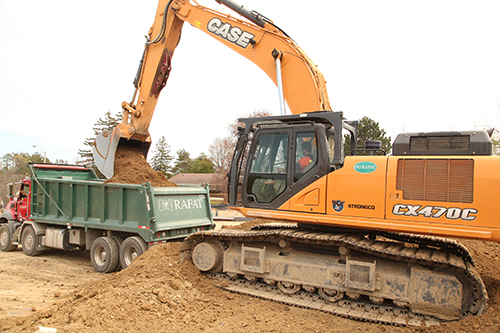 The company is responsible for the roads, sewer, drain lines, retention ponds, gutters and sidewalks for the community. 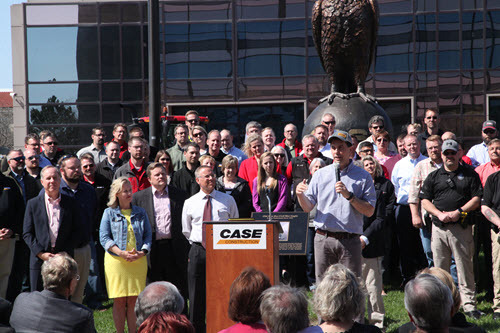 Wisconsin Governor Scott Walker and a delegation of business leaders, elected officials, contractors and Foxconn representatives today named CASE Construction Equipment among the 27 state contractors and suppliers who will perform work on the new Foxconn development in Racine County, Wis. 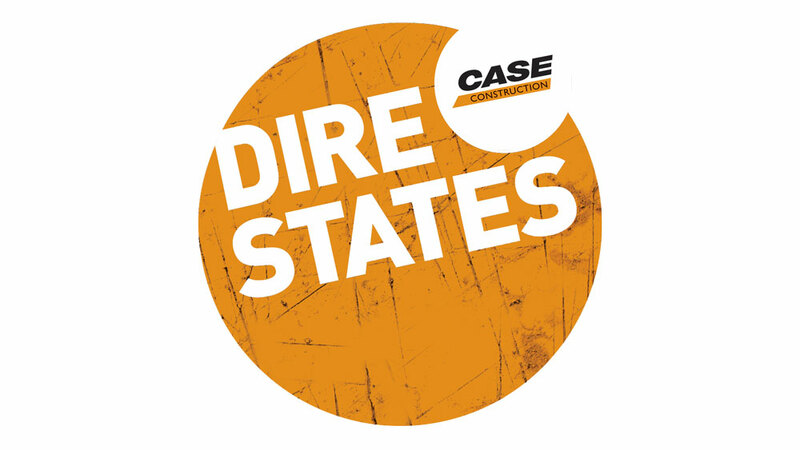 The announcement, made on a statewide tour Monday that culminated in an event at CASE headquarters in Racine, was made in support of efforts to ensure Wisconsin suppliers and contractors take a prominent role in the construction project. The $10 billion manufacturing site planned for Mount Pleasant, Wisconsin, is estimated to create 10,000 construction jobs each year for the next four years. 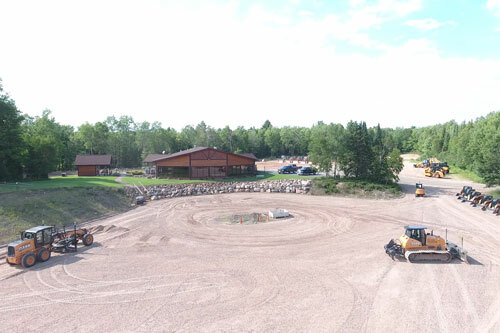 M+W | Gilbane, the lead contractor on the project, announced at an event in April that 90 percent of contractors for the initial site work would come from the state of Wisconsin, with a total of 10 percent coming from Racine County. 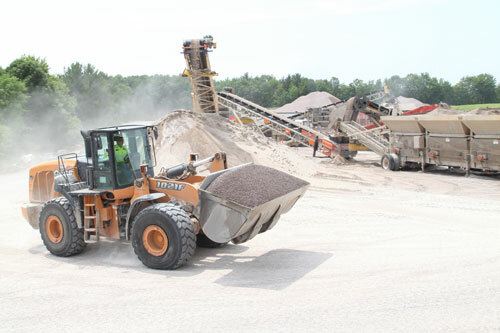 The Top 30 Editor’s Choice Awards are chosen by the Asphalt Contractor editorial staff for meeting various criteria including longevity and consistency in the market, dependability, productivity and innovation. 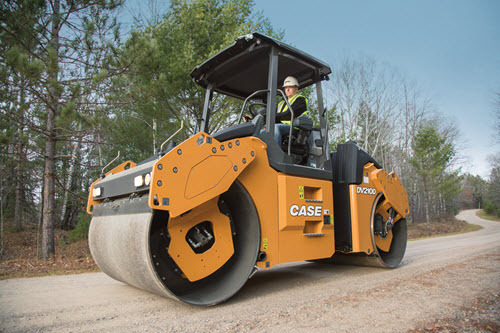 To gauge readers’ preferences, they also factored in how much interest these products received on the Buyers Guide at ForConstructionPros.com/Asphalt. Imagine maintaining 300 pieces of rolling stock plus 200 pieces of equipment spread across the entire United States, U.S. Virgin Islands and Puerto Rico. That’s the challenge Tim Bland, assistant operations manager at Environmental Restoration, LLC, faces every day. 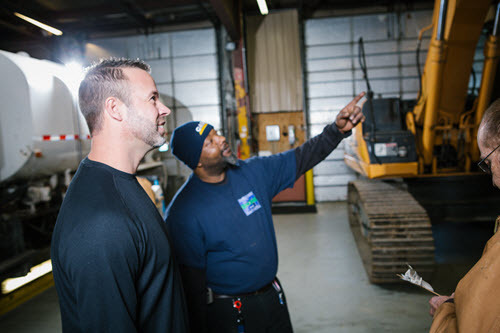 For 20 years, Bland and his staff have provided emergency response services, site remediation, government services, industrial cleaning to various commercial, state and federal clients. With 600 employees working from 23 offices across the country, Environmental Restoration is the largest EPA contractor in the United States.